Together we can reach our goal! 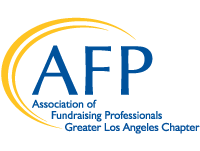 Each year we ask GLAC members to make a philanthropic investment in the AFP Foundation, which makes a multitude of resources available to our members. Growth in Knowledge and Wisdom - Grants are made for AFP strategic initiatives that advance ethical and effective fundraising like diversity programs, ethnics education, and the Essentials of Fundraising series of classes developed to meet the real-world needs and challenges nonprofit leaders face every day. The Foundation also seeks to inspire the next generation of philanthropists through support of Youth in Philanthropy programs. Learn more about best practices – we make grants to increase our knowledge and understanding of philanthropy and to enhance the practice of fundraising through studies and reports developed by the AFP Research Council and through the acquisition of reference materials purchased through the Pierpoint-Welde Research Library Fund available in the AFP Resource Center. Better Educational programs – Grants and seed funding for AFP education programs like the Faculty Training Academy and education products like AFP’s Ready Reference Series help you grow professionally. The Foundation also supports lectures and awards at AFP’s International Conference on Fundraising. Please visit the Be the CAUSE Campaign on the AFP Global website for more info! Thank you to this year's Be the Cause supporters!